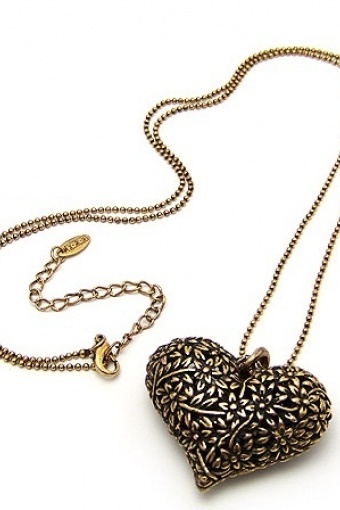 Heart Ajour necklace gold by from Paris with Love! Beautiful ajour heart made from gold-bronze coloured metal (nickel tested) on faceted ball chain necklace. The perfect gift for yourself or your lover :-).